A neat little parcel of over 2 hectares from the Chambolle end of this famous vineyard, this brooding wine stands apart from its svelte siblings, bringing majestically opulent, dense blueberry, black cherry fruit to the party. Theres even a decadent whiff of eau-de-vie to the nose! Supported by 35-40% new oak and built for the long term. 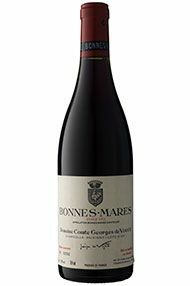 The Wine Advocate - The intense scents of the 2002 Bonnes Mares burst from the glass, exhibiting dark jammy fruits, spices, and blood oranges. Bold, powerful, and crammed with black cherries, allspice, and raspberries, it reveals copious quantities of exquisitely ripened tannin in its finish. This noble, muscular, extravagant wine should be drunk between 2007 and 2017. The Domaine Comte de Vogüé in Burgundy dates back to 1450 when Jean Moisson constructed the original building. The property stayed in the same family, passing through the female line from time to time until a Catherine Bouhier married Cerice-Melchior de Vogüé in 1766. Somehow the family, though in exile in England, managed to retain control of the domaine during the French revolution. Modern history and the current label begin with Comte Georges de Vogüé who took over in 1925. The first heyday of the domaine came during the 1940s, 1950s and 1960s. The domaine owns 7.25 hectares of the fabled Le Musigny vineyard which constitutes 80% of the whole site. In addition, it has 2.75 hectares of Bonnes-Mares and 1.8 hectares of Premier Cru Chambolle-Musigny. Under the aegis of estate manager Jean-Luc Pepin, with winemaker François Millet and the aptly named Eric Bourgogne in the vineyards, this domaine currently cannot put a foot wrong; it ranks amongst the very best Burgundy houses. Tastings at de Vogüé have become a perverse highlight of any buying trip - nobody is allowed to taste unless François is present. In his exemplary measured English François will distill the essence of each vintage in a mixture of metaphysical and anthropomorphic metaphors. The average age of vines in Le Musigny is 40 years old and all is labelled as Vieilles Vignes. This is Red Burgundy at its sublime best - marvellously perfumed, rich, ripe fruit, perfectly balanced and exquisitely harmonious. The best wines will keep for up to 50 years. 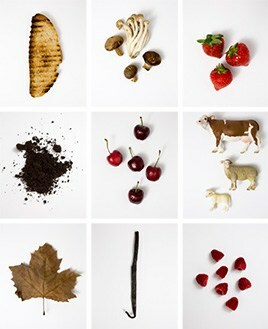 The vineyards are run more or less organically by Eric Bourgogne and his team, though they do not claim organic status. There is a mix of guyot and cordon training, in either case pruned for low yields. In the cellar François Millet will adapt techniques to suit the year. He likes a cool pre-maceration since glycerol is enhanced during this phase. Thereafter the temperature during fermentation should not exceed 32-33ºc. The oak regime is light on new wood: typically 15% for the village Chambolle and 35% for the grands crus, occasionally a little more. Chambolle produces the most elegant wines in the Côte de Nuits, having more active chalk and less clay in the soil than the other villages. The wines may be a little lighter in colour and less tannic than Gevrey-Chambertin but they have a sublime concentration of fruit. Village Chambolle-Musigny usually provides excellent value. 94 hectares of village Chambolle-Musigny. 61 hectares of Premier Cru vineyards (24 in all). The finest vineyards include Les Amoureuses, Les Charmes, Les Fuées, Les Baudes and Sentiers. 24 hectares of Grand Cru vineyard - Bonnes Mares and Le Musigny. Recommended producers: de Vogüé, Mugnier, Roumier, Barthod.